Baitin the Germans...Sure that's mad Ted! 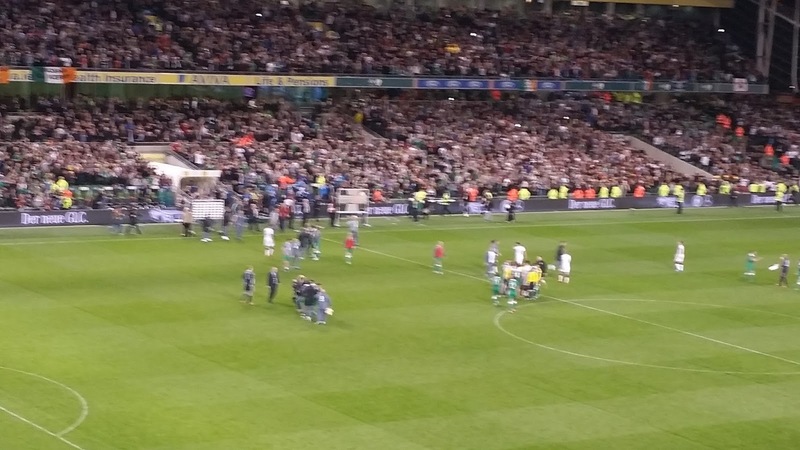 Hammers back up netminder Darren Randolph had a night to remember at Dublin's Aviva Stadium last night as the Republic of Ireland overcame World champions West Germany. 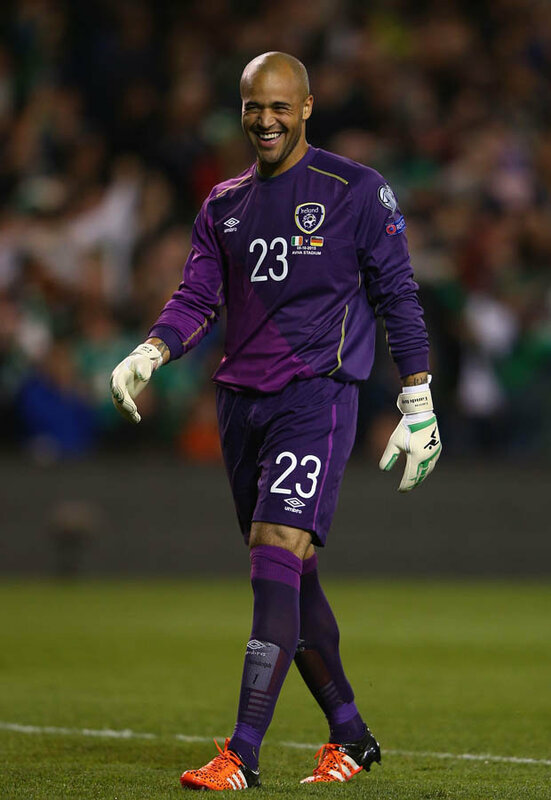 Randolph came on as a second half substitute for the injured Shay Given and was quickly in the action pulling off a string of dramatic saves. Clearly buoyed by his recent excellent performances in the Premiership for West ham, Randolph lapped up the atmosphere urging on his under fire defence. 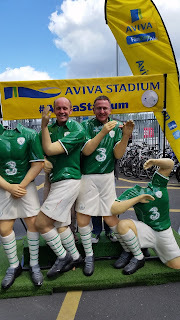 And in the 70th minute even better was to come when his long kick out found striker Shane Long who used his pace and power to break through the German defence and rifled the ball home. 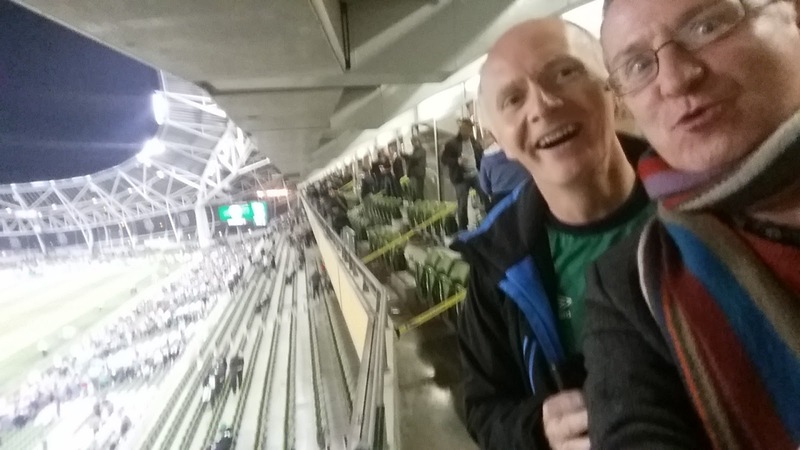 The stadium went bangers, Irish style. After a full five minutes of celebrations the Germans restarted proceedings and immediately set siege to the Irish goal. 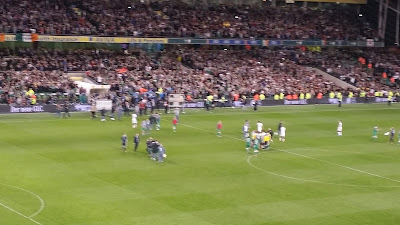 However, Martin O'Neill's men could sense history in the making and Randolph was in no mood for being breached, looking big and strong through a series of German efforts. Ireland now travel to Poland seeking a win to seize automatic qualification with a play off place now guaranteed. With Given stretchered off Randolph will surely start. Let's hope he can keep another clean sheet and add to his goal assists tally! Top text in the long night of the text was the Fentonesque offering "FILTHY" from HOC straight after Shane Long's goal. The result will serve as a useful reminder to HOC and the rest of the Irish Liverpool followers that the Germans don't always win! However, it was a bad night for Tipperary man JB who will need to up his game if he is to keep Long behind him in second place in the Tipperary Soccer legend rankings.